I made kombucha. 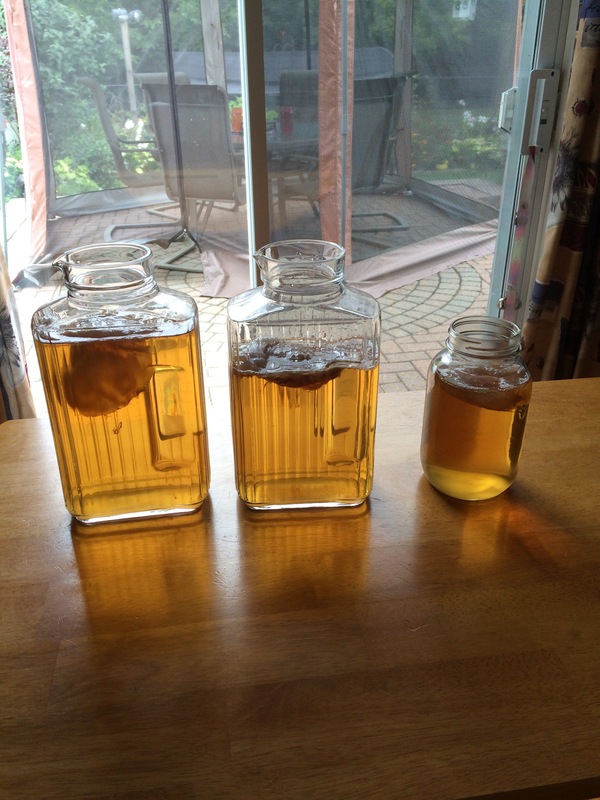 Well, I kind of made kombucha since the making involved me going to a friend’s house with an empty jar and returning home with three filled ones. Basically, I borrowed some baby kombucha and helped it grow up. You know I like trying new things and I was all over fermented peach vinegar last year, homemade yogurt which I still make, and ricotta cheese. I haven’t made sauerkraut yet but it’s on my list. I also have some rennet put away to make cheese. It makes sense that I would try kombucha, it’s pretty “in” these days and touted as being a wonderful probiotic. Well, I tried, I really, really tried. I even sampled some of one of the batches and it tasted pretty good for fermented tea. I mixed it with homemade lemonade and it reminded me a bit of the ciders everyone is drinking these days. That was not the problem. The problem was the huge plug of living matter that you have to bypass to get to the kombucha. The thing that turns the tea into the world’s most trendy fermented beverage. The scoby. 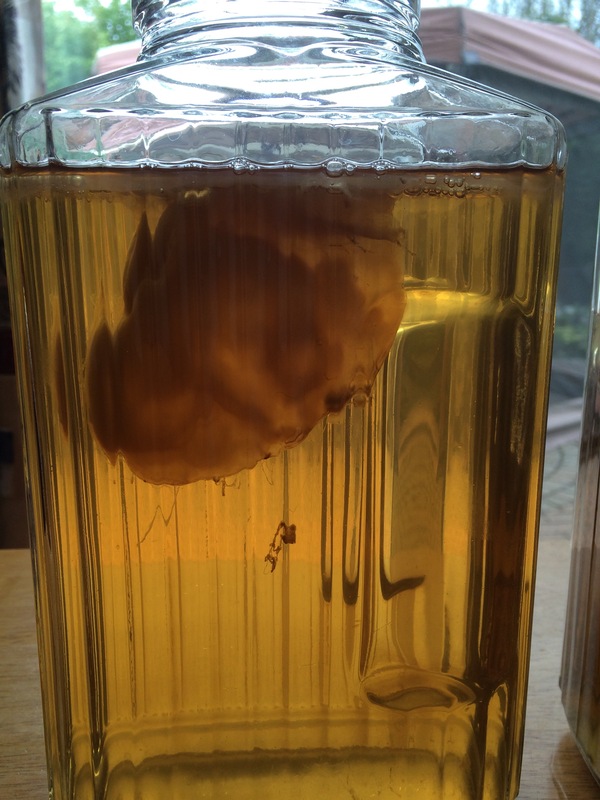 Scoby stands for “symbiotic culture or bacteria and yeast”. I think scoby was definitely a better marketing term. 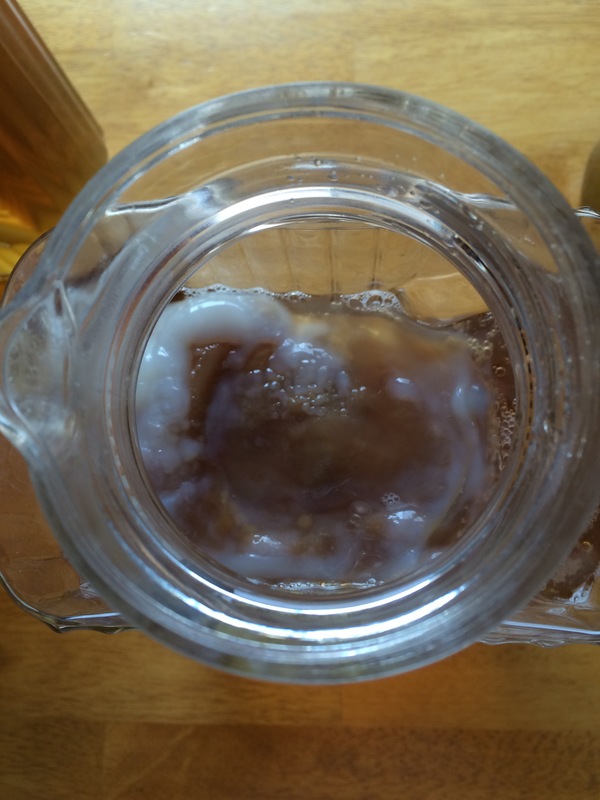 You can buy them off the internet, or, like me, get one from a friend, because every time you make kambucha your scoby births a second scoby, which makes sense because it looks like a placenta. It really does look like one, or a giant snot plug, or jellyfish in a blender. Not nice at all. Every time I wanted to pour some off, I had to physically get the drink past the plug into my glass without getting bonus bits. I tried, I really, really tried and maybe if I hadn’t studied two years of clinical microbiology in school, I’d be down with drinking something that looks like it came from Shrek’s swamp. But I can’t. My scobies, their babies, and all my kombuchas are shortly going to be launched into the afterlife. Bahaha! This is the best review of growing kombucha I’ve ever read. Thanks Annika! Photos don’t lie! 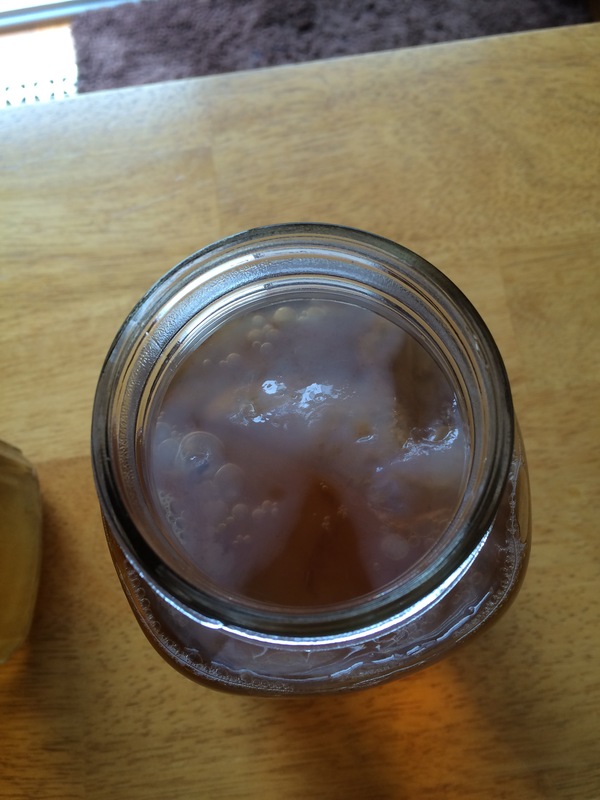 The Scoby is incredibly good for your health, and the yeast is as well. You have all those same bacteria already living within you! It grosses me out sometimes, but I’ve learned to accept touching the Scoby, drinking yeast bits if it happens. All good 🙂 but you can strain it through cheesecloth to keep drinking it if you desire.